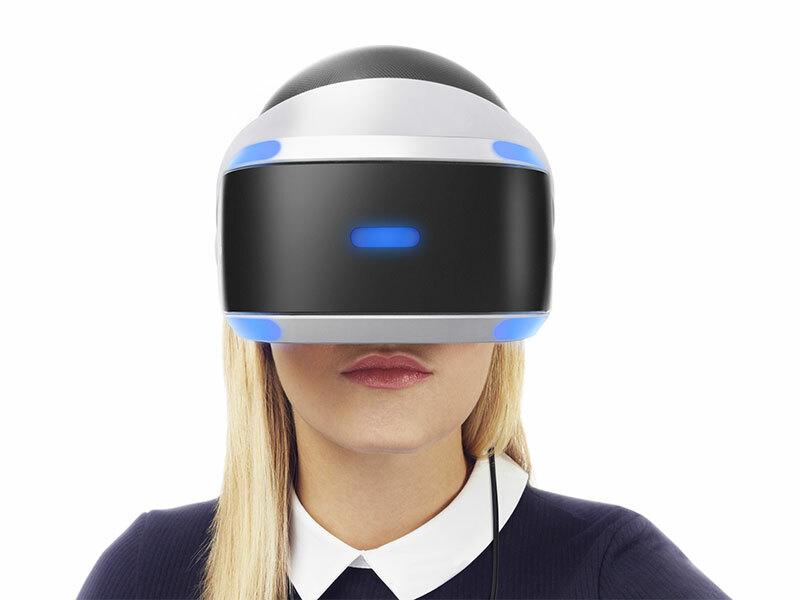 I’ve just spent some time trying out Sony’s first attempt at mass market virtual reality, PlayStation VR. As the name suggests it’s a system designed as an add-on to Sony’s current-gen games console, PlayStation 4. It’s seen by many as one of the more affordable routes into VR but at £350, it’s still a fairly substantial investment for most people. 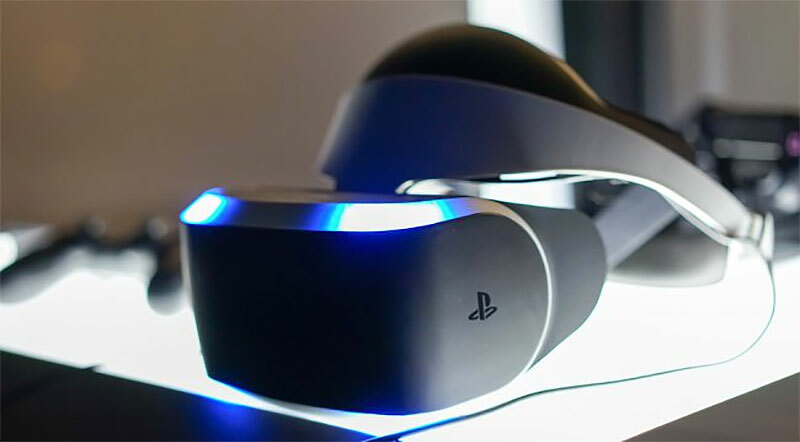 In the half hour or so I spent with the PS VR I tried two games, Battlezone VR and RIGS. 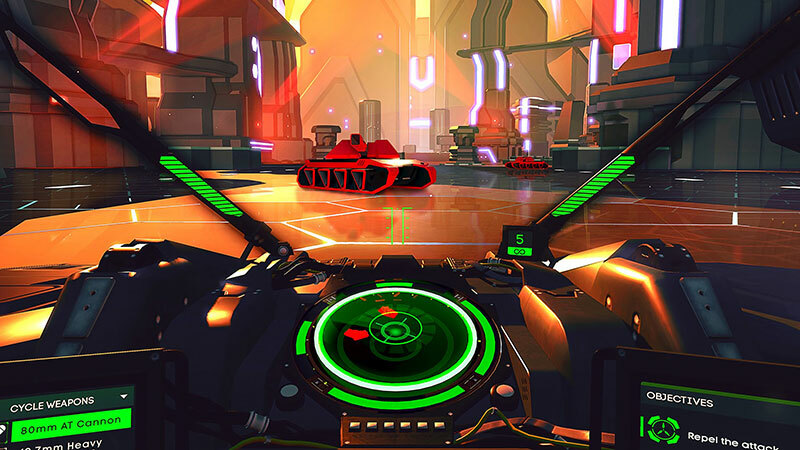 On booting up Battlezone VR, and looking around the interior of my tank, one of the first things that struck me was how odd it felt looking around at objects that appeared to really be right there in front of me, but being unable to reach out and touch them. Once the game got going though, and I started to adjust to the experience, the sense of immersion was pretty incredible. There was enough time to familiarise myself with my (virtual) surroundings before things really got going, and after a few easy enemy battles the intensity of the gameplay started to ramp up nicely. RIGS, on the other hand, throws you straight into a bright and vividly coloured virtual arena where the aim of the game is something to do with blowing up your opponents and scoring goals. I won’t try to explain it beyond that as to be honest I really didn’t have much of an idea what was going on. It was a much more intense, overwhelming experience than Battlezone VR and it didn’t take long for motion sickness to kick in, accompanied by a slight headache. I’d read a few comments online about the low resolution of PS VR, in comparison to higher end systems like Oculus Rift and HTC Vive. It’s understandable given the relatively low price point, and I really hadn’t expected it to be an issue, but it was actually quite noticeable and did detract from the overall experience a little. What was more problematic for me though was the motion sickness and accompanying headache. Although it may just be that, with VR gameplay being such an intense experience, it just takes some getting used to.